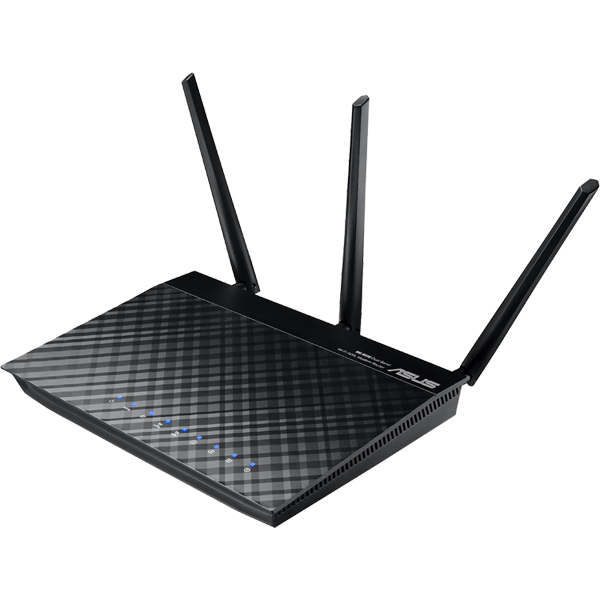 Keep your DSL-N16U Wireless-N300 Gigabit ADSL Modem Router running at its best with the latest firmware. Now supports Dual WAN (fail-over) feature. Now supports Dynamic Line Adjustment (ADSL) feature (Advanced Settings > Administration > DSL Setting). Now supports 3G/4G Sharing feature (USB Application > 3G/4G). Now supports Country-Specific Setting feature (Advanced Settings > Administration > DSL Setting). Now supports PPTP/L2TP VPN Client feature (VPN > VPN Client). Now supports Wake on LAN feature (Network Tools > Wake on LAN). Now supports CPU & RAM info display on Network Map. ADSL WAN (ATM) QIS auto detection list updated. Embedded Download Master updated: v3.1.0.95. Fixed Network Service filter related issue. Fixed restore settings with Setting file might fail issue. Replace the ssl functions (matrixssl) of web server with OpenSSL. QIS auto detection list updated. Fixed Misfortune Cookie, Rompager cookie and digest authentication vulnerability related issues. Now supports Rx AGC GAIN Adjustment (ADSL) setting (Advanced Settings > Administration > DSL Setting). Fixed compatibility issues with certain PPPoE server. Now use miniupnpd instead of upnpd. Network Map > Client status feature updated, now includes Online/ Wired/ Wireless (with signal indicator) tabs. Fixed possible Traffic Monitor cannot display correct traffic information issue. Fixed Servers Center > FTP Share related issues. Fixed Guest Network > Access time related issue. Fixed Traffic Manager > QoS related issues. Extend Stability Adjustment (ADSL) to 10 dB. Display path mode in DSL log (Interleaved/ FastPath mode). Fine tune Network Tools > Network Analysis. Add Norway ISP, Nextgentel Bredband (1/33, PPPoE). Add Norway ISP, Nextgentel Bredband (MER). Add United Kingdom ISP, Aquiss. Add United Kingdom ISP, AOL. Add United Kingdom ISP, Vodafone. Add United Kingdom ISP, Utility Warehouse. Add United Kingdom ISP, Freeola. Add United Kingdom ISP, Eclipse. Add Australia ISP, Adam Internet. Add Australia ISP, Telstra Bigpond. Add South Africa ISP, MTN Business. Add South Africa ISP, iSAT. Add South Africa ISP, Axxess. Add South Africa ISP, Cybersmart. Add South Africa ISP, Web Africa. Add South Africa ISP, Openweb. Add South Africa ISP, Vox Telecom. Add South Africa ISP, MWEB. Add New Zealand ISP, BigPipe. Add New Zealand ISP, Flip. Add New Zealand ISP, WXC. Add New Zealand ISP, Digital Island. Add Russia ISP, MTC Максим. Add France ISP, OVH Telecom. Add France ISP, Magic Online. Add Greece ISP, Wind Hellas. Add Algerie ISP, Algerie Telecom. Add Norway ISP, Nextgentel Bredband. Add Saudi Arabia ISP, Saudi Telecom Company Jood. Add Luxembourg ISP, Post LuxDSL. Add Morocco ISP, Maroc Telecom. Add San Marino ISP, San Marino Telecom.